AUSTRALIA'S caravanning industry has slammed suggestions it has free rein when it comes to building RVs. "To suggest the industry has little or no regulation or is self-regulated is rubbish," Caravan Industry Association of Australia chief executive Stuart Lamont (pictured) said. "The system is by no means perfect, however with over 615,000 vehicles registered in Australia it would be impossible to suggest that some problems don't occur, and in these situations we urge industry businesses to make sure they understand and comply with their legal obligations." 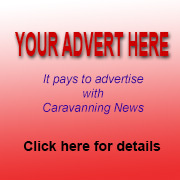 There have been frequent calls for a Royal Commission into the industry which is constantly being criticised for the alleged poor quality of some caravans rolling off production lines and being imported. The Australian caravanning industry counters by arguing that it is subject to over 100 Australian Design Rules, Australian Standards and regulations. It is also overseen by state and federal government departments and authorities with regulatory enforcement based around risk profiles, reported incidences and risk to consumer safety. In addition to compliance, buyers have added rights and protection surrounding unfair contract terms and around warranty and consumer guarantees through Australian consumer laws, it points out. The association recently welcomed a Federal Government announcement that it was looking to introduce even tougher enforcement measures surrounding trailers, including caravans and other RV products. Mr Lamont said the news followed over four years of heavy lobbying on behalf of consumers and industry to generate even better outcomes within the industry. "The industry is made up of many genuine businesses who employ many Australians and have a strong commitment to manufacturing or importing product which is not only compliant but which seeks to offer the greatest level of satisfaction to their caravanning customer," he said. "These changes contemplated will provide tougher and swifter penalties for businesses doing the wrong thing, providing greater consumer protection, and better confidence within those industry businesses committed to doing the right thing by the consumer."